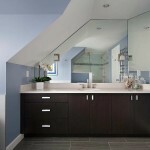 March 2019 - Shakespeare Homes and Renovations Inc.
Shakespeare Homes has been in the business of home building, repair and renovation since 1990. Which means we have many projects under our collective belt. You name it, we’ve probably done it or know how to do it. 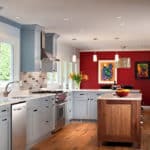 Not only have we built solid connections and industry relationships during our almost 30 years of service, but we also have the experience to consider all those tiny kitchen related details in advance, meaning fewer surprises for you. Ok, so tooting our own horn aside, what this means for you is that you can count on us to get the job done on schedule, on budget and with amazing results that you can be proud of. We get that it’s hard to trust a company to handle a massive project like a kitchen renovation when there are so many horror stories out there about things gone wrong, and people getting swindled. 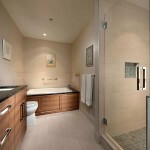 We also get that one of the reasons people hire companies like us is because they have very limited knowledge of what it takes to see a project through from concept to reality and they need guidance. 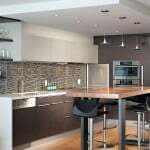 Our demonstrated commitment to award-winning, exceptional service and workmanship, means that you can have the peace of mind of knowing that your kitchen is in the best hands. By designing and building with renewable resources, sustainable materials, and energy efficient practices, Shakespeare Homes works to not only reduce the impact on the environment but also your wallet. We use both Energy Star appliances and Built Green practices to ensure that your kitchen doesn’t just look great, but also does its part in for caring for the environment. We also care for our community by contributing to seminars and training events and mentoring newer construction companies and trades and grade 11-12 students who are interested in a future in the field. 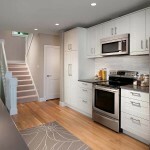 So, there you have it- if you are in need of a kitchen renovation in North Vancouver, Shakespeare Homes is the one for you. 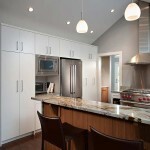 Contact us for a one on one consultation and we’ll work with you to realize your dream kitchen!